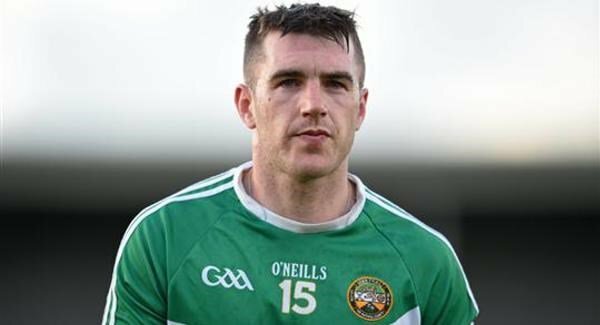 In a recent newspaper interview, recently retired Offaly hurling player Brian Carroll looked back at his career. Brian has finished as the county’s highest championship scorer of all time in an era of minimal success and chronic disappointment for the county team. With a strong hurling lineage – his father and grandfather hurled for the county, Brian was always striven to emulate his father Pat who had passed away at aged 30 when he was only a child. In fact, Pat was a proverbial superstar in the 1980’s and he remains one of the most respected and adored hurlers of all time. He was a key player in the county winning their first All-Ireland title in 1981 and also helped them annex another All Ireland in the final against Galway in 1985. In the process, he won two All Stars and four Leinster senior medals. Emulating that type of success brought pressure on Brian as he grew up. As he grew to be a senior hurler, he felt that pressure grow. Pressure to succeed in a team perceived to be a traditional stronghold can be extremely debilitating and unhelpful, but the added pressure of trying to emulate his father was most unhelpful. With the passing of time however, Carroll reported to change his perspective of what success actually felt like. Sport psychologists often talk about controlling the controllable. While you cant control whether you win or lose, you can control whether you play to your best or not. With the support of a sport psychologist Carroll attempted to just take responsibility for the things only he could control. “Around 2013 I finally began to realise that inter-county hurling is not always about winning medals. It’s also about where you come from, what team you are part of. With Kilkenny’s dominance in Leinster the challenge to win a provincial title was always going to be huge, and that’s the wall we came up against. But there is more to all of this than winning…….. It’s about trying to be the best and get the most out of yourself on and off the field. I would have scoffed at all these notions 10 years ago. I would have laughed and said it was all about medals. But the realisation hit home that if you’re up against the best and you’re doing all you can, well there’s something in that too.” Carroll went on and scored 1-10 (1-5 from play) in the Leinster championship against All-Ireland champions Kilkenny the following year and win his second All-Star nomination despite his team receiving a record beating. We can see a similar scenario emerging now of pressure being unhelpful at two traditional powerhouses – Liverpool FC and Manchester Utd in premiership soccer. We saw it previously at Manchester Utd prior to Alex Ferguson’s managerial reign where there was a high turnover rate of managers as expectation levels were rarely met. In fact Ferguson was on the verge of getting the exit door himself before he won the FA Cup in 1991. Real Madrid too, change their manager regularly as many struggle to meet the expectations set by previous success. Very often in sport, with expectation comes disappointment. From a psychological perspective, a team is better off if a coach is able to take the pressure off his players in some way. Focusing individually on being the absolute best that they can be irrespective of winning or losing is one way of doing it. Become performance focused, not outcome focused. If a player or team does that, they cannot do any more and there is a general sense of satisfaction in that – knowing you gave your all and that left every thing you had on the field. A classic example of this is portrayed in the famous film “We are Marshall”. 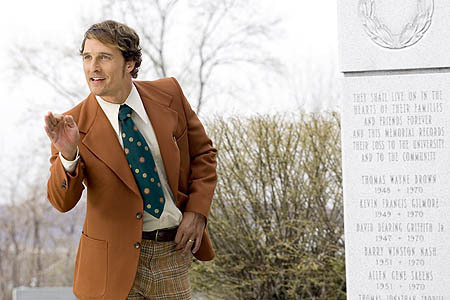 In the film (a true story about a college American Football team), Coach Jack Lengyel (Matthew McConaughey) addresses the Marshall University football players prior to a local derby against local rivals and overwhelming favourites, Xavier University. The coach brought his team to a quiet place of remembrance for Marshall University football players and coaches who died tragically in a plane crash the previous year. In the speech to his inexperienced rookie players, he took any sort of pressure and expectation off them. He appealed to their inner character – to look inside themselves and give of their all for the full duration of the game. He asked them to look around at each other and said “This is who we are………… I am going to tell you something about your opponents today…….. They are bigger faster, stronger, more experienced and on paper they are just better than you and they know it too………………….. But I am going to tell you something else…..that they don’t know……………………. They don’t know you are harder. I do. I’ve seen it. You have shown it to me………. You have shown this coaching staff, your team-mates. You have shown just exactly who you are in your heart…………….. So when you take that field today you gotta lay it on the line………… From the soles of your feet to every ounce of blood that you’ve got in your body, lay it on the line until the final whistle blows……………..and if you do that………..if you play like that………. We cannot lose…………… We may be behind on the scoreboard at the end of the game but if you play like that………………… We cannot be defeated………………. How you play today from this moment on is how you will be remembered…………………. This is your opportunity to rise from the ashes and grab glory”. See clip here. Needless to say, against all the odds, Marshall University went on to win the game. Keith Begley is an accredited sport psychologist with the Irish Institute of Sport.